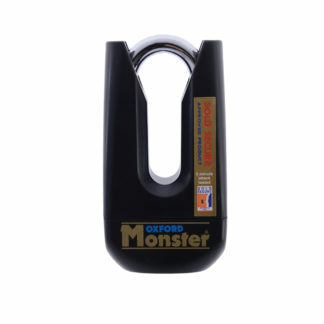 The Oxford Monster XL ultra-strong padlock is a great deterrent to any threat, offering flexibility with it’s lightweight yet robust nature. 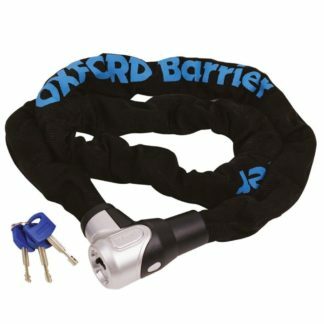 Ideal for riders who don’t have the space for chains and other security gear when they’re out and about. 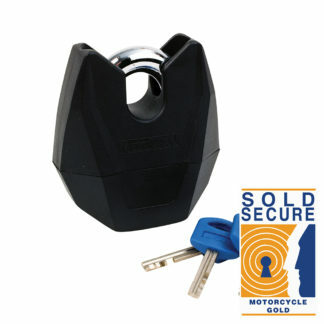 It features boron steel armour casing and a 16mm shackle with a double locking mechanism. 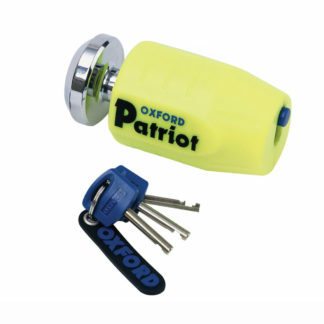 Many insurance companies will offer a reduction in your premium if you let them know you own and use the Oxford Monster XL padlock, as it’s sold secure gold approved. 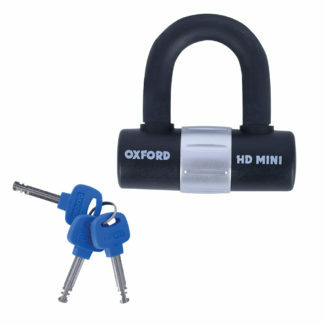 Ultra-strong padlock with hardened boron steel armour casing. Sliding Key hole dust cover.